for $755,000 with 3 bedrooms and 2 full baths, 1 half bath. 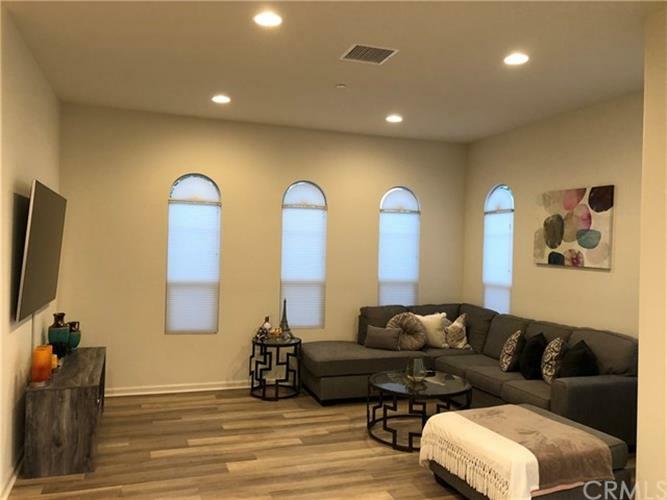 This 1,825 square foot home was built in 2017 on a lot size of 0.0618 Acre(s). Beautiful 2 story single family home built in 2017. Home features 3 bedrooms, a loft and 2.5 baths in the gated community of Camden Square. The kitchen comes with high end stainless steel appliances, double sink, dishwasher and an island with bar stool seating. A large master suite is set apart from the secondary bedrooms for privacy. The master bath features a garden tub, separate glass-enclosed shower, dual sinks with plenty space for two. A huge walk-in closet with built-in shelving with plenty of room for organizing. A loft separates the master suite from the Bedroom 2 and 3. These bedrooms each have direct entry to a full bathroom with two sinks. The convenient laundry room is nearby. Camden Square is a new community comprised of 72 homes and a recreation center including pool, spa, clubhouse, playground and barbecue grills. It is located conveniently next to shopping, restaurants, entertainment and easy access to freeways. This property is priced to sell. IT IS A MUST SEE!